Having reviewed different ranges of audio accessories for iOS devices, until now, I had yet to review a portable wireless speaker set. There are plenty around, but none of them ever piqued my interest. Unless my wife started asking about them, I would not have considered owning a wireless speaker considering I have a pretty serious home system and a pair of nice headphones. A slick anodized aluminum casing packs a punch in a small (6.25″ x 2.5″ x 1.75″) package. On board, are two custom HD audio drivers that provide true stereo audio with left and right passive subs. The two drivers face the front and the subs are located on the backside, which is no particular problem, as subs are omni directional. The left side has a USB out charging port for your iPhone, a daisy chainable headphone (3.5mm) auxiliary out port, and tri-color LED battery indicator. 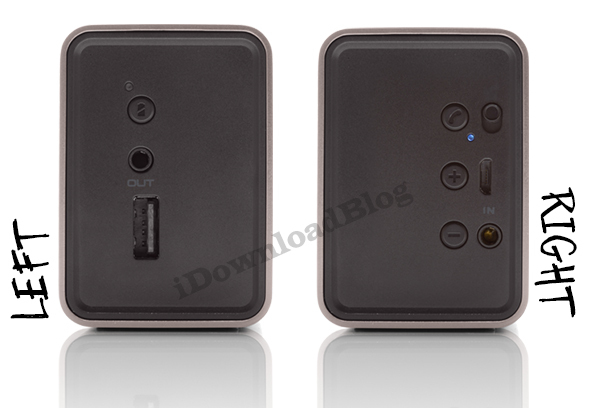 On the right, you find the Bluetooth sync button which doubles as the begin/end call button and a corresponding connection light is adjacent. Additionally, there are onboard volume controls, which also double as the track skip buttons. Finally, a line-in headphone (3.5mm) jack is included for non-Bluetooth devices. The unit charges via USB to USB mini, which is included in the box, along with a carrying pouch and a 3.5mm to 3.5mm jack. If that isn’t enough, you will also find a USB wall adapter complete with international plugs. It really is a complete and elegant package. Many Bluetooth speakers will cut corners, but the only cut corners on the Braven are the crisp edges on the aluminum housing. It is a great package, but how does it perform? The first thing I noticed was the direction of the small speakers. It clearly sounds better at ear level or, at least, angled to the listening area. Assuming you use this on your desk, I would prop the front padded feet a little, giving a more directional listening experience. I noticed distortion at high volume levels with heavy bass. My desk nicely bumped with the bass notes on some Passion Pit, but does not have a low enough frequency response to do Skrillex any justice. The Braven is perfect for rock and roll, heavy vocal or guitar tracks, even for casual pop music, country, top 40 music, or the Dave Matthews fans among us. I’m not convinced it would pass as a great gift for your audiophile or extreme music aficionados, but it is great for the casual listener. 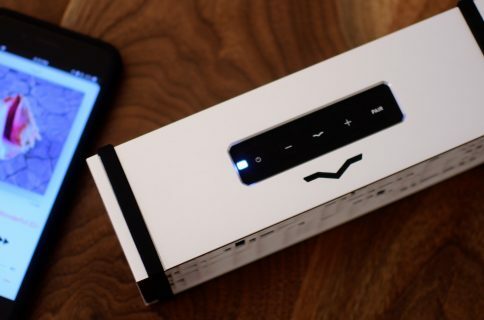 Summer is coming and Braven will certainly hold its own place next to the grill or in the backyard, but don’t expect it to replace a boom box. However, indoors it can certainly fill a room. When giving it a go in my upstairs office, with the door closed, my wife complained I was listening to my music too loudly while she was downstairs watching TV with the surround sound on. Battery power was actually more than promised. After listening to music wirelessly for 15+ hours, it still has not needed to charge. Obviously, if you use your speaker to charge your iPhone, it will significantly deplete battery life, but I only recommend this as a charger in emergency situations. Although, the portable charging option is highly convenient. Call quality left a little to be desired. The clarity was fairly low and there was feedback on calls when the unit was charging. 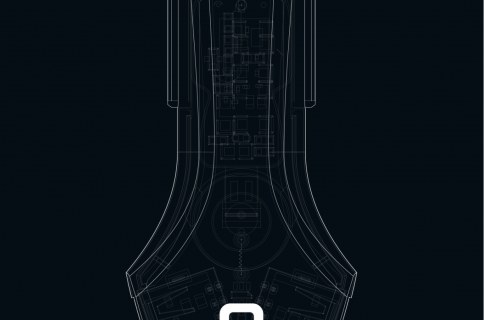 It is not primarily intended as a calling device, however, and I would only use the calling feature to answer quick calls while listening to music. As expected, when receiving a call, the music fades, the ringer comes through the speaker, press the answer button and talk. Once the call is over, end it with the on board button and your music will resume automatically. This functionality is standard for all Bluetooth enabled headsets and docks. Bluetooth pairing was excellently simple and the unit remembers the device to which it was previously paired. 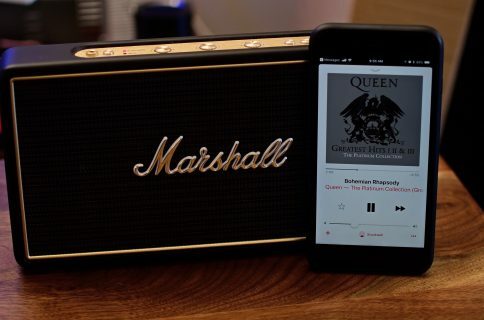 The speaker will show up as an AirPlay speaker option whenever audio is played on your device. When switching between Bluetooth devices, place the Braven in discovery mode again, then pair it with your new device. 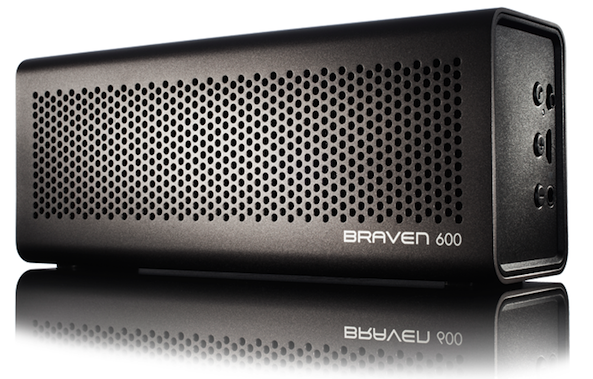 The Braven 600 is great for office or desktop music experience. It is easy to stream from your iOS devices, or even a Bluetooth audio enabled laptop or desktop computer. I definitely recommend this product to the casual music listener that is looking for a quality, portable, and wireless option. The Braven 600 will be your office companion or your road warrior, depending on your needs. With 15+ hours of playback, being away from a power source is clearly not an issue. At $150 in grey, you will need to be sold on the product, as it is clearly not just a casual purchase. I am comfortable with the asking price because of the added accessories and quality build. To sweeten the pot, Amazon is currently selling the red version for $100, practically making it a must-have. My wife has been telling me her coworkers have small speakers in their work spaces, but I know, after reviewing the Braven 600, she will comfortably be the envy of her office mates. And, because the unit is portable, she can even make them jealous on their extended on-location projects, charging her iPhone if necessary.